Kerala Devaswom Recruitment Board Recruitment 2018 │64 LD CLERK / SUBGROUP OFFICER GRADE – II Vacancy. 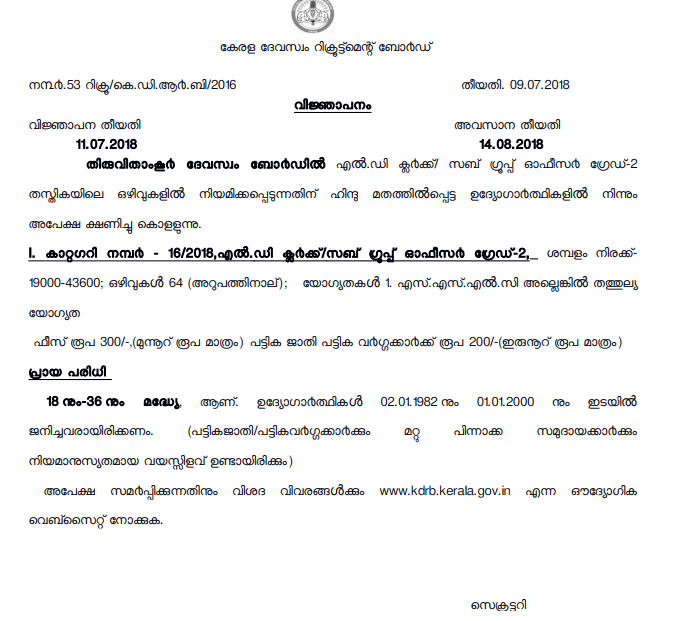 Kerala Devaswom Recruitment Board has released Official notification for the post of L D CLERK / SUB GROUP OFFICER GRADE – II IN KERALA DEVASWOM RECRUITMENT BOARD. From the Hindu religious community Inviting applications. Applications must be submitted online through the official website of the Kerala Devaswom Recruitment Board after One Time Registration. 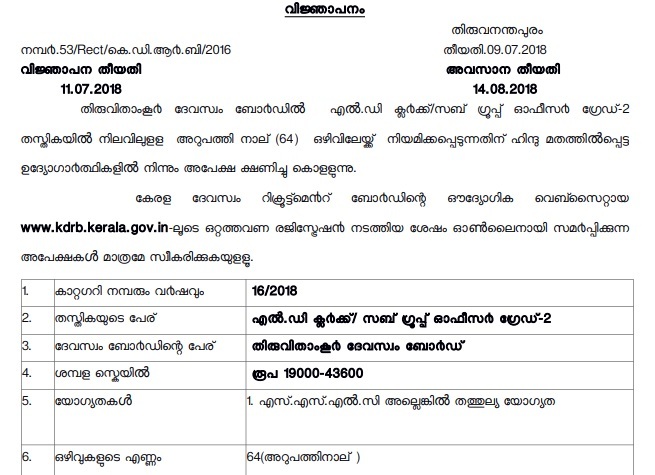 You should aware of all the process of 64 LD CLERK / SUBGROUP OFFICER GRADE – II Vacancy Details, like Kerala Devaswom Recruitment Board Recruitment 2018 Eligibility criteria, Selection process, Age limit, Application process, Examination fees last date of application etc which are given below, The latest Kerala Devaswom Recruitment Board Recruitment 2018 Online Application link attached with this article. The age of the aspirants should be maximum 36 years and minimum 18 years. Relaxation in age will be provided as per the norms. A candidate must have been born not earlier than 02.01.1982 and not later than 01.01.2000 (both dates inclusive). There is age relaxation for SC/ST. and OBC. Rs. 200/- for SC/ST candidates. 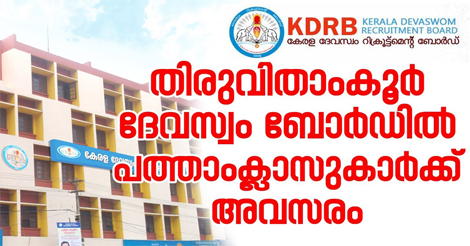 Eligible candidates may apply online through the website www.kdrb.kerala.gov.in on 14th August 2018. 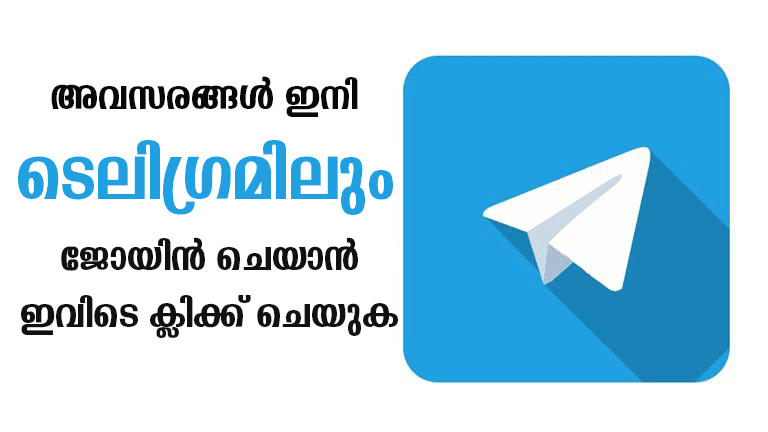 Candidates must register as per 'ONE TIME REGISTRATION' with the official Website of Kerala Devasawam Recruitment Board 'www.kdrb.kerala.gov.in' before applying for the post.